Hi this is Terri Borman child care provider and author of “Shapes Go to School.” This week’s blog is about IDEA, the Individuals with Disabilities Education Act. 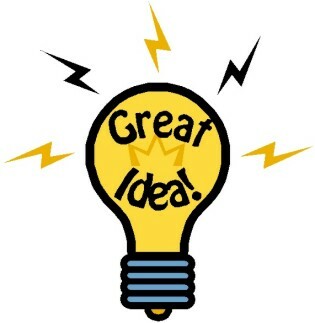 IDEA is a United States federal law and it regulates how states and public agencies will provide early intervention to children ages 0-3 and special education and related services to children with disabilities from ages 3-21. IDEA considers autism, intellectual disabilities, hearing impairments including deafness, speech or language impairments, visual impairments including blindness, serious emotional disturbances, orthopedic impairments, traumatic brain injuries, and other health impairments disabilities and because of these disabilities these children need special education and related services. Children with the disabilities listed above are automatically protected by Section 504 of the Rehabilitation Act of 1973 and under the Americans with Disabilities Act. 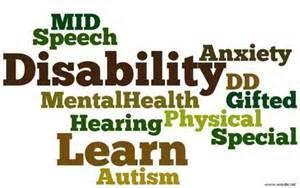 Children that have disabilities but do not qualify for special education services under IDEA may however qualify for accommodations or modifications under Section 504 of the Rehabilitation Act of 1973 and under the Americans with Disabilities Act. There is a “zero rejection” rule. The courts have ruled that no child even if the child is completely incapable of benefiting from educational services for example, the child is unconscious or even in a coma, will be denied educational services. In Texas, we have a state run program called ECI which stands for Early Childhood Intervention. ECI takes comprehensive evaluations and provides services for children who qualify from ages 0-3. At age 3, the school district that the child is zoned for will do their own evaluations and take over the services to children who still qualify. The ECI team that evaluates the child and plans services includes licensed or credentialed early intervention specialists, speech and language pathologists, physical and occupational therapists, psychologists, registered nurses, dietitians, social workers, and counselors. As a child care provider, it is important for me to communicate with parents and let them know that I have concerns about their child and I will recommend ECI for an evaluation. There have been children in my care that were developmentally behind and the parents chose not to have them evaluated and that child really struggled when they started school at age 5. It’s unfortunate because they could have gotten so much help earlier. So if you are a child care provider and you have some concerns about a child in your care, talk to the parents and inform them of the services available to their children either through a state run agency like ECI who provides services for children up to age 3 or through the school district they are zoned for that provides services for children ages 3 and up. If you are a parent and you have any concerns, call your state run agency and/or your school district and have your child evaluated. The evaluation is free and if your child qualifies for some services, it would be so much better to start early than to wait. It’s the very first day of Kindergarten for the shape children. The teacher, Miss Heart, has asked each student to introduce themselves. One by one each shape stands up and talks about themselves. “Shapes Go to School” is a beautifully illustrated children’s book that teaches shapes and colors. Order your copy of “Shapes Go to School” today! Just click on the picture of the book! This entry was posted in Uncategorized and tagged children, disabilities, I.D.E.A., no children left behind, occupational therapy, speech therapy on May 18, 2014 by terriborman.